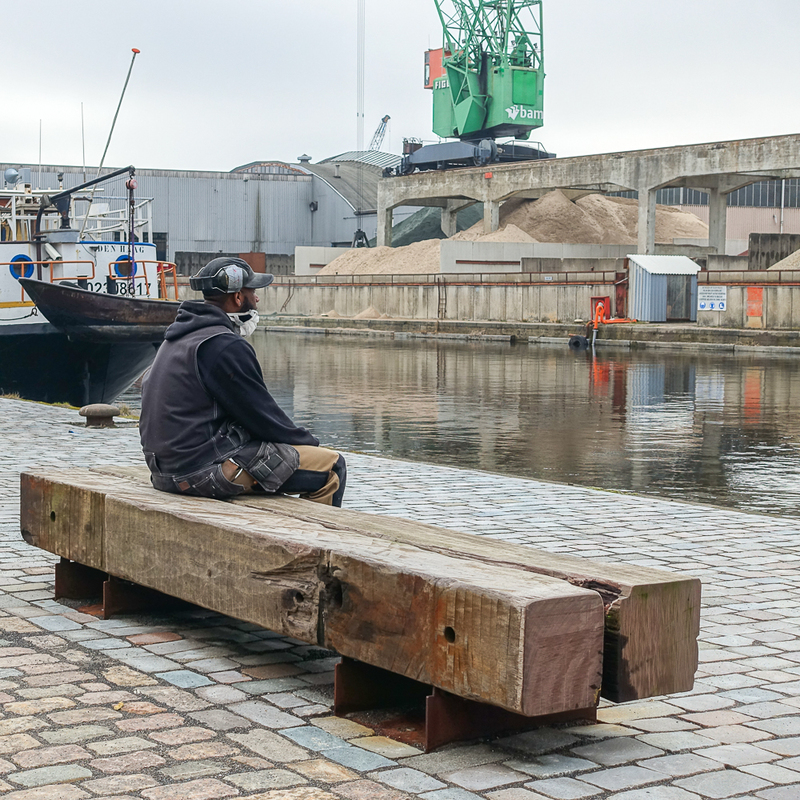 The Drifter Benches are made of reclaimed mooring posts of 30x30 cm -12”x12”, recovered from local water infrastructure. 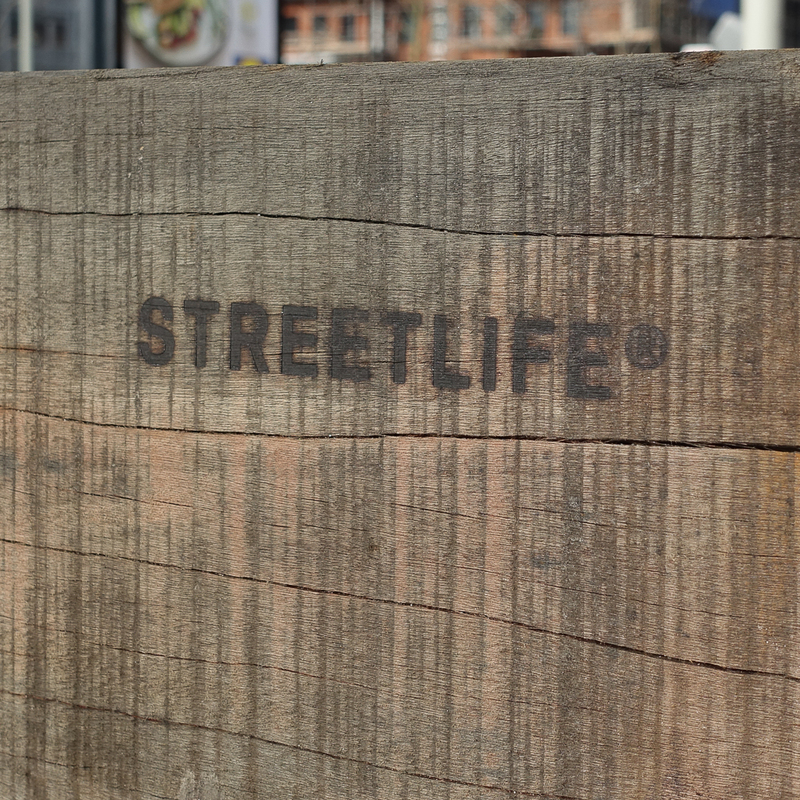 The 30- to 40-year-old tropical hardwood is certified FSC® recycled wood. 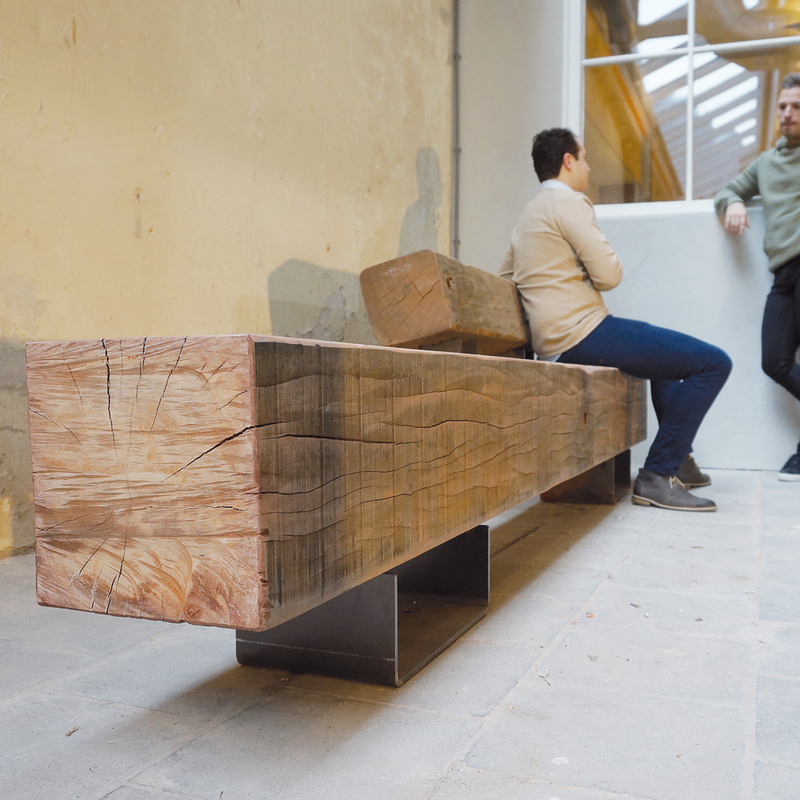 These benches are an example of the circular economy, with a unique rustic look that appeals to the imagination. 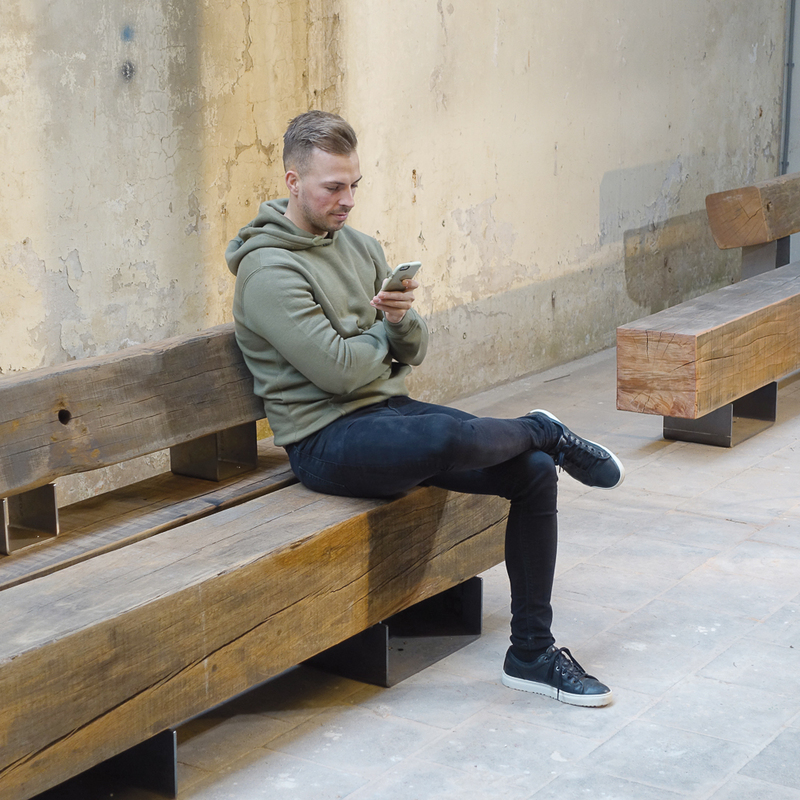 There are Drifters Benches with one or two slats (L1/L2). Available in standard lengths ca.120, 200 or 300 cm | 47",79" or 118"
Standard seating depths are ca.30 cm (1 beam) or 62 cm (2 beams) | 12 or 24"